A group of Chinese scientists has announced the first successful creation of babies with human-modified DNA using the CRISPR gene-editing tool. A team at the Southern University of Science and Technology, in Shenzhen, has reportedly been recruiting couples to create the first gene-edited babies. The team’s lead scientist, He Jiankui, told the Associated Press (AP) that one couple in the trial had given birth to twin girls this month. The scientists allegedly used CRISPR-Cas9, or “CRISPR” for short, a powerful gene-editing tool that acts like a pair of molecular scissors, able to cut strands of DNA. The method is cheap and easy to employ, making the creation of genetically modified humans through in vitro fertilization (IVF) a theoretical possibility. While some have touted the birth of genetically tailored humans as a prodigious medical achievement, capable of eliminating certain genetic diseases, others have denounced the practice as an instrument for genetic enhancement, the eugenic culling of genetically “inferior” humans, and the creation of designer babies. Foreseeing the controversial nature of the research, last year two scientists called for a broad-based, inclusive dialogue regarding the ethical aspects of the new technology. “In this ever more competitive global pursuit of applications for gene editing, we hope to be a stand-out,” He and his team wrote in an ethics statement last year. They also forecast that their innovation would “surpass” the invention of in vitro fertilization, whose developer won a Nobel Prize in 2010. 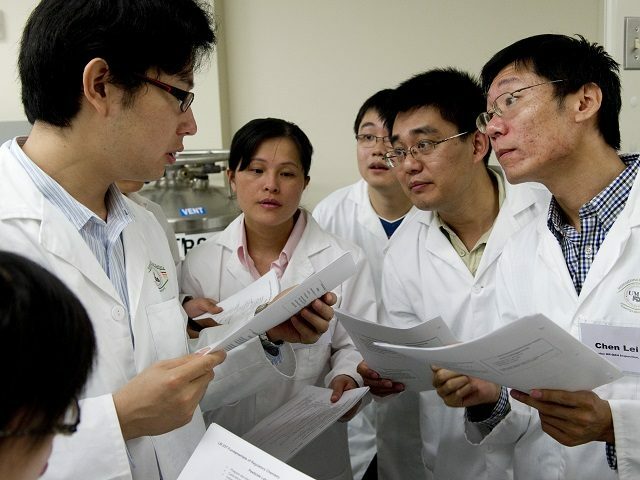 The claim by Chinese scientists that they have already created genetically modified human beings coincided with a Hong Kong summit on Human Genome Editing among the world’s leading experts in the field. The summit, which begins Tuesday, November 27, will be chaired by David Baltimore, a biologist and former president of the California Institute of Technology. “We have never done anything that will change the genes of the human race, and we have never done anything that will have effects that will go on through the generations,” Baltimore said.